A proposed constitutional amendment to swap an increase in sales taxes for a cut in property taxes comes in another door; lawmakers are looking for enough money to make a noticeable cut in local school property taxes. But the mechanism some are proposing — raising the state’s sales tax — is highly regressive, an economist’s way of saying it burdens lower-income Texans more than higher-income Texans. The vaping bills are social policy in the guise of tax bills; the swap is tax policy that could have a deep effect on society. Tax policy is also social policy. Committee members heard vaping bills Tuesday from state Reps. Rick Miller of Sugar Land, Drew Springer of Muenster and Shawn Thierry of Houston — two Republicans and a Democrat. Each quickly dispatched the financial aspects of the legislation, keeping the conversation on e-cigarettes (as opposed to what the industry apparently calls “combustible cigarettes”), their effects on youth, questions of claims that vaping helps wean people off nicotine, and other health concerns. They suggested raising taxes would raise prices and that higher prices would help keep the vaping habit out of reach of minors. This seemed clear: The legislators sponsoring these bills are trying to change behavior with taxes — and not taxing products because the state needs the money. That other bill — the $5 billion tax swap — might seem to be more in the committee’s wheelhouse. It’s appealing to lawmakers who’ve been scrambling to give voters a property tax cut as part of a package of public education legislation. That isn’t exactly what most candidates promised last year. Here’s the part where you have to go back and look to see whether your favorite politician proposed property tax reform or property tax relief. The first could mean changes to property appraisals, limits on how much property taxes can rise without voter approval, and things like that. 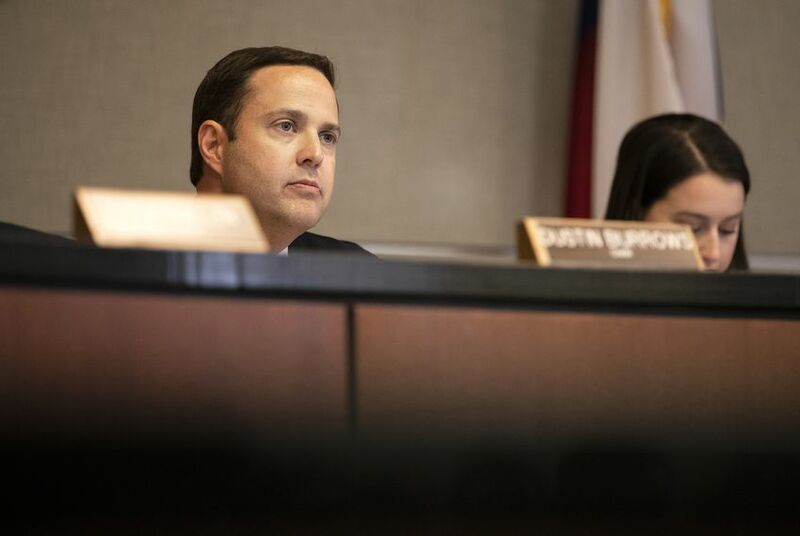 There’s a bill up for consideration this week that would require voter approval any time cities and counties raise property tax revenue by more than 2.5 percent. That’s not a tax cut; it’s a potential limit on future tax increases. And given the opposition of local governments, it’s probably in for a lashing during the debate in the House. Relief is what some lawmakers crave. But it costs a truckload of money to lower property taxes by a significant amount. That one-penny sales tax increase would raise about enough to lower school property taxes by 20 cents. That’s popular with property owners, but it hits poorer Texans twice, by increasing a regressive sales tax and by sending the rewards to people who own property. Renters would be left to hope their beneficent landlords pass along the savings. The sponsor, Rep. Dan Huberty, R-Houston, is tinkering with the legislation and might use some of the money — 20% has been tossed around in conversation — for public schools. That’s an effort to make the sales tax increase worthwhile to Democrats, who historically have been reflexive and strong opponents of regressive taxes. It would ultimately be up to voters to decide whether to put a tax swap into the state Constitution, but it takes 100 votes to get a constitutional amendment out of the House. There are only 83 Republicans, so Huberty can’t do this without some Democratic support. And to do that, he’ll have to adjust his tax bill to take care of the Democrats’ social concerns.